Have you heard of Jaybird headphones? Myself, I hadn't prior to today! Well, Jaybird creates state of the art headphones for active lifestyles. Check out jaybirdsport for details. Upon visiting their website, I find that Jaybird has some AMAZING headphones in their store! They everything from full headphones, to ear buds to adapters but the best part? They're wireless. Yes, wireless! These are perfect for those with an active lifestyle. I think about the fact that here in Phoenix, it is perfect hiking and walking weather. This is the time of year we are all outside. The weather is absolutely perfect and you can’t help but be outside all day. One of the great things about living in Phoenix is that we have mountains throughout the city. Right in the heart of the city are North Mountain and Camelback Mountain and both are perfect for hiking. The views of the city from the tops are so breathtakingly beautiful, especially in the evening. South Mountain is also breathtaking because you can see the massive expanse of the Valley of the Sun. I would actually like one of the Sportsband’s from their product selection. Earbuds are great but I think I have a small opening in my ear because they tend to hurt and fall out. 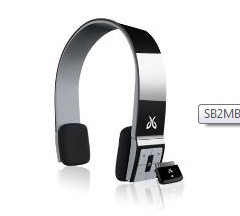 Here is what the Sportband headphones look like and I waaaaaaaaaaaaant them. Take a look at their store; do you see any headphones you would like to own? What activities do you like to do and that you would like to listen to music during? What are some of your favorite songs to listen to while out doing your activities? Okay, now off to plan my Christmas wishlist with a pair of headphones! Those are interesting - thanks for the link! You're welcome! If you enter, I hope you win a free pair!